Editors Note: There are ten photos associated with this press release. RAYMOND WEIL, the family owned luxury Swiss watchmaker, last night celebrated its sixth year as Official Watch & Timing Partner of The BRIT Awards for 2013 last night by gifting some of the most recognised names in the music industry at this year's star studded awards ceremony, held for the third year at London's premier entertainment location, the prestigious 02 Arena, London. To mark its continued support of the UK's most influential musical awards ceremony, that celebrates both British and international musical achievements throughout 2012, RAYMOND WEIL created two special edition timepieces, from the famous Freelancer collection line, limited to a total of 75 pieces. They were gifted to key artists, presenters and performers during the evening's celebrations. Receivers of the Limited Edition RAYMOND WEIL BRIT Awards 2013 timepieces included: Emeli Sandé, Ben Howard, One Direction, Tom Odell, Ed Sheeran, Robbie Williams, Justin Timberlake, Bryan Ferry, Calvin Harris, Taylor Swift, Mumford & Sons, Delilah, Jake Bugg, Ne-Yo, Plan B, Labrinth, Simon Pegg, Alt-J, Tom Daley, Jessie Ware, Rafe Spall, Greg James to name a few. The male model features a 42mm polished steel case, automatic movement with 46-hour power reserve, an elegant dial with rose gold hands and indexes and a soft brown leather strap with folding clasp. 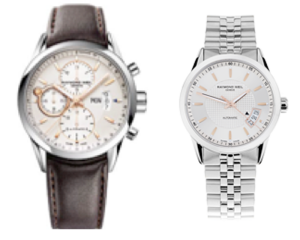 Both urban and classical, the timepiece is a match for all styles. The female model, mounted on a stainless steel bracelet boasts a sophisticated 38mm polished steel case, housing an automatic movement with 38-hour power reserve and a silver dial with a "Clous de Paris" motif in the centre. The very elegant rose gold hands and indexes add to the final harmony of the design. 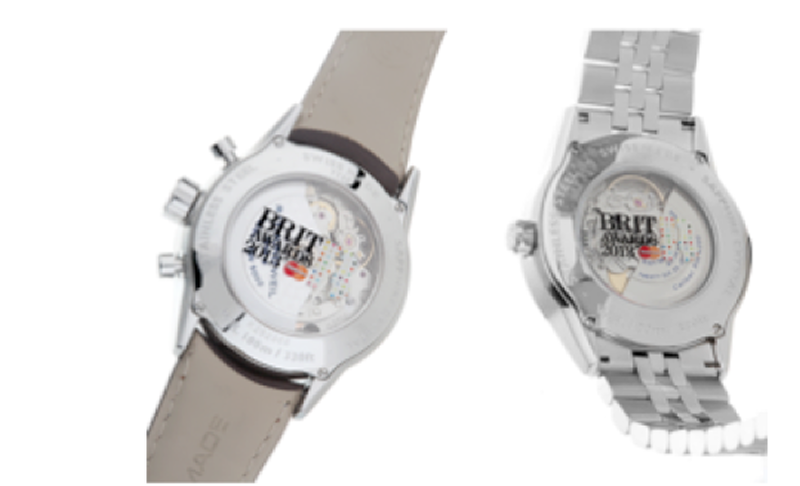 Each of the RAYMOND WEIL BRIT Awards 2013 limited editions features a bespoke exhibition case back, adorned with this year's BRIT Awards 2013 with MasterCard logo. It features the trademark spot design of internationally renowned British artist Damien Hirst who has also put his unique stamp on the iconic BRIT Award trophy with MasterCard logo. RAYMOND WEIL launched its 2013 BRIT Awards campaign on 24 January 2013, by hosting its Annual Music Dinner alongside BRIT Awards nominee LABRINTH. This year's event was held to honour War Child who are celebrating 20 years of work changing and saving the lives of 800,000 children in the world's most war torn countries. The intimate dinner, held at LABRINTH's restaurant, Mosaica, Wood Green, London was attended by the very best of the British music scene including LABRINTH, Conor Maynard, Wretch 32, Alexandra Burke, Sway, Laura Mvula, Daley, George The Poet, Dot Rotten, Suki Waterhouse, Angel, Gabrielle Aplin, James Arthur, Etta Bond, VV Brown, Stooshe, Chipmunk, Delilah, JLS, Jake Gosling, Liam Payne & Louis Tomlinson (One Direction), Tali Lennox, The Temper Trap, Zara Martin, Raf Riley, Yasmin and Chris Loco.